System Ninja is a fast, powerful and effective system optimization solution for Windows. 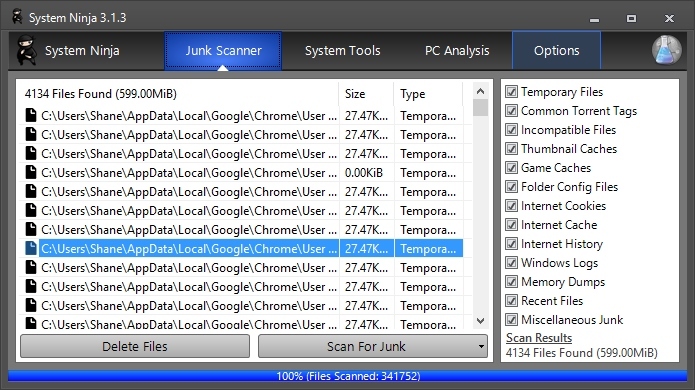 It's designed to quickly remove junk files, improve system speed and fix problems. 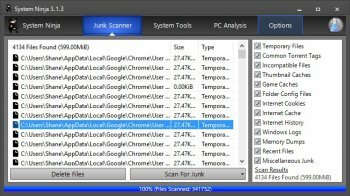 Whether you use Google Chrome, Internet Explorer, Opera, Mozilla Firefox, Apple Safari or their derivatives; System Ninja cleans their junk.